Onboarding is an important piece of the hiring process, and one that more and more leaders are working to improve in their organizations. Onboarding starts before the first day and carries on to the job offer, new hire documentation, training and goal setting for performance management. 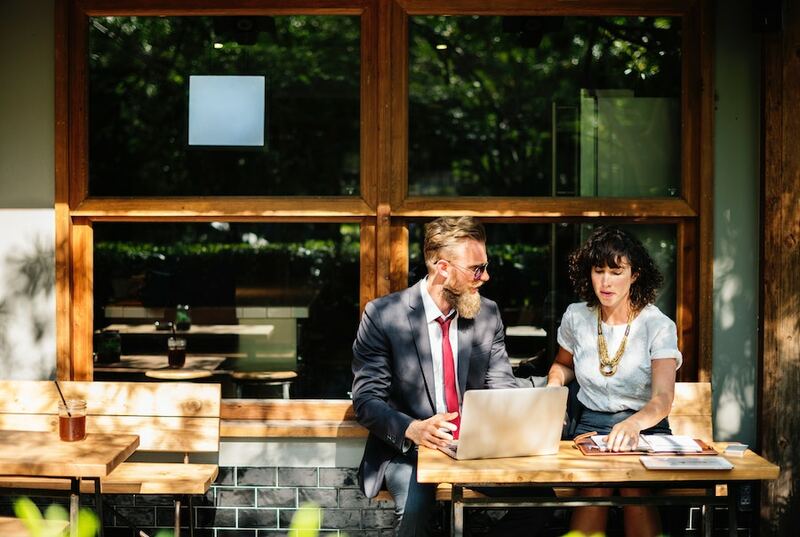 Though it is such an integral part of any new hire’s development, the conversation usually focuses on those employees who are entry or associate level. In fact, it’s not often we hear someone mention new leader onboarding. According to Business First Magazine, roughly 40% of executives who change roles or get promoted fail in the first year and a half. Neglecting executive onboarding can be detrimental to more than just the new hire. Executive failures can cost nearly 40 times their base salary. Remember, these employees will be leading teams of employees. If the transition is poor, you might lose your executive and a few of your otherwise skilled and engaged employees. Are you setting your new managers up for success? 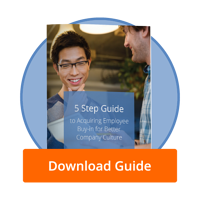 Download our 5 Step Guide to Acquiring Employee Buy-in to Your Company Culture! Identifying the executive’s leadership and those who are key stakeholders in their development and success. Preparing the business strategy relevant to the executive’s KPIs and goals. Outlining the performance management process the executive will follow and be held to. Outlining any performance management tactics the executive will deliver and hold reports accountable to. Building the introductory period plan that will facilitate relationship development between the executive and his or her subordinates. Aligning the boundaries for the executive’s position, both in terms of the employees’ and leaders’ rights. First impressions are huge and onboarding is a great chance of providing the first impression that keeps leaders and employees around. Having these pieces organized before the executive steps foot into your organization will help your team better understand candidates who will fill the role well, while allowing transparent communication after a job offer is extended and accepted. Many companies create a 100-day plan for their executives. One survey found that organizations with standard onboarding processes see 54% greater new hire productivity and 50% greater new hire retention. Pre-boarding will greatly inform the recruitment and hiring process. First, it will allow the talent acquisition team to better select candidates that best fit the role and culture. Everyone from recruiter to hiring manager can easily see and agree on what is measured as a qualified candidate, eliminating missed opportunities or wasted time. Job descriptions and qualifications are clear cut, helping job seekers themselves see if they will be a good fit for the role. Additionally, the clear cut guidelines mean your organization will not overpromise and underdeliver. Filling managerial and executive roles can be difficult. A survey conducted by Spencer Stuart, an executive onboarding firm, showed a startling 70% of CMOs were disappointed by their onboarding experience. Most workers are aware of the enormous responsibility that comes with the job title, but that doesn’t mean it isn’t glossed over when the title and benefits discussion begins. It’s human nature, but you stand a better chance of preparing your new leader for the difficult pieces when those elements are already clearly outlined and communicated. Devote time within your interview process to go over the KPIs of the job and the specific responsibilities and goals. If possible, physically introduce executive candidates to the space they would be working within. That will not only show them the environment in which they will be working, but might give them the chance to bump into potential colleagues or subordinates. All this might seem like a chance to scare your candidate away, but the truth is, it won’t be any easier on the first day. Now is as good a time as any to bring reality to the position. Company culture is another widely discussed element that is important to the success of an organization’s hiring and managing process. Each and every organization is unique and those differentiators can jive with a candidate that matches or lead to a hasty exit from one that doesn’t. Bringing your unique company culture and values to your onboarding process is another way of solidifying a new hire’s excitement to join the organization, and can serve as a boost in engagement right off the bat. When it comes to onboarding an executive, this first glimpse into company culture can be critical. To start integrating culture into your onboarding program, think first about what makes you so unique. Benefits and perks are great to highlight, but those are things that can be found within a handbook. You want to focus your attention on the intangibles like leadership’s open door policy or company-wide social responsibility programs. What is the guidance from your boss (your boss’ boss)? What are the informal keys to success here? Where is the strategy working well and where can it be improved? What are the organization’s strengths and challenges? What metrics does the organization use to track progress? Many organizations build new hire welcome packages with branded swag. 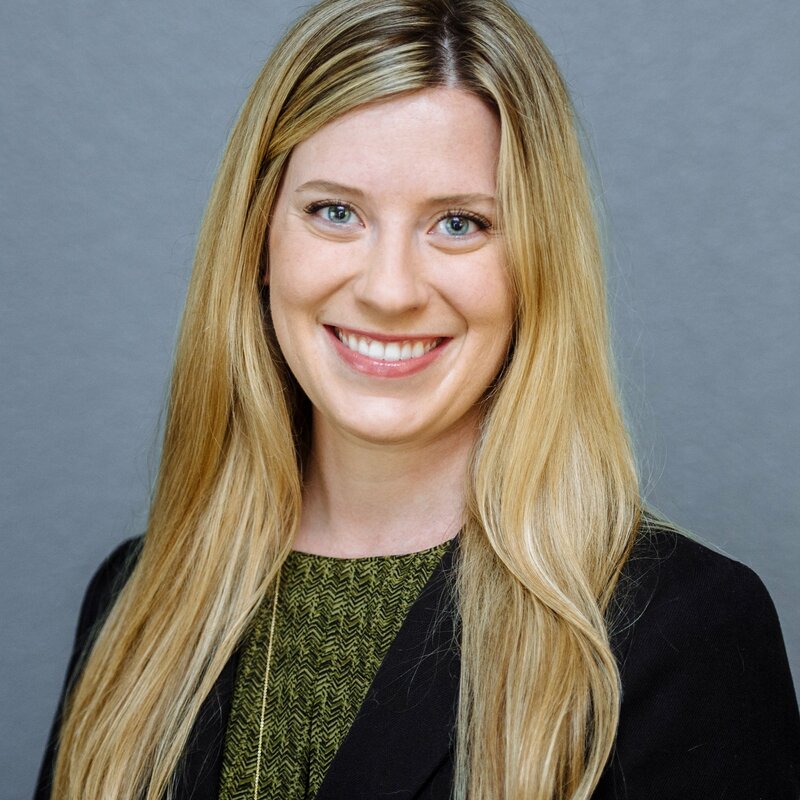 These packages will help new employees feel integrated into the company, but can also feature items that are important to success within your business and speak volumes about organizational values. For example, LinkedIn decorates each new hires’ desk with a greeting card, water bottle, notebook and a copy of the founder Reid Hoffman’s book, “The Startup of You.” Placing a great book focused on management will be perfect for onboarding a new leader, but don’t forget to show a little team personality too. At ClearCompany, we give each new hire a branded t-shirt, branded laptop case and a "Who: The A Method for Hiring" book by Geoff Smart and Randy Street, ClearCompany partners. This book outlines the method that we apply to our hiring and our product development, so our new hires can understand to our processes and strategy. Whatever you do, avoid the expectation that a new employee will be ready to hit the ground running after they are onboarded. Even if your new employee has a lot of experience, things are going to be different for them at your company, so the expectation that someone will be performing at their best before thorough training is unrealistic. This is one of the key reasons to delineate between training and employee onboarding, so as not to confuse the two. Set up meetings with key executives and don’t allow them to be missed. The first 90-100 days are the make or break point to determine whether an executive will succeed in his or her position. Remember, new managers still have supervisors above them who need to see progress and productivity. Luckily, as the previously mentioned survey points out, manager satisfaction increases by 20% when their employees have formal onboarding. That means your executive leader is more engaged and productive if their team, no matter the level, is onboarded correctly. Onboarding is the perfect time to begin setting employment expectations. Managers and executives usually wear many hats and are held to specific standards for each. Clearly explaining the processes they will be following and upholding will help them hit the ground running, curbing huge learning curves that might affect team productivity. Be sure to clearly point out KPIs and how those performance metrics are measured and handled. Your organization’s pre-boarding plan will be a great resource during these conversations and training sessions. These expectations should be discussed in interviews, so it won’t be the first time the new leader hears about the concepts. However, be sure your new leader is granted face time with their direct supervisor at the beginning of their first week on the job. Invite them for an informational meet and greet before their first day on the job, especially if the leader is new to the company or location. Schedule consecutive meetings for 30, 60 and 90 days following the first day, so that your new executive receives the right attention early in their career. Discuss missed KPIs for improvement and touch on strengths so the executive can see what is working. More is expected of executive hires, and more time is spent attracting, recruiting and compensating them. Therefore, it’s acceptable to give them clear and high expectations and expect deliverables in the form of a plan before or on month 1. Make sure your executive hire knows what is important. Is it quickly assembling their dream team or balancing the budget for their department? Do they need to clean house in a dysfunctional region or realign the processes for more efficiency? Whatever it is, assign a clear indicator of success and let them know the timeline in which they are expected to complete their task. Coaching and mentorship programs are great opportunities for all levels of employees. Even CEOs benefit from an experienced confidante to bounce ideas around with. Whether the new executive has held a leadership role in the past or is new to management in general, a mentor can provide them guidance when navigating a new company and expectations. This is especially true for a leader hired externally into the company. The mentor can not only give advice about practical pieces of the job, but will have great insight in how to work within the established team or with established practices. Another form of mentorship is to appoint an experienced, successful and tenured employee to help the new leader get acclimated. Be sure the mentor has the capacity to offer support without their duties suffering, then discuss with them the new executive’s title, team and responsibilities prior to the first day. That way he or she can prepare for potential questions and concerns prior to the new leader’s arrival. BONUS TIP: Use these tips when onboarding a promoted manager. Just because this individual has been working with your company and understands the job better than someone hired externally, doesn’t mean they don’t need introduction to the role. There are some pieces of onboarding that might be redundant and therefore left out, but overall, promoted employees still need set expectations, support and a friendly team welcome. Lauby is right: onboarding truly touches every step in an employee’s time within the organization. When it comes to welcoming a new executive, the stakes only get higher. Following the tips above can provide a more positive experience for new leaders. If you’re looking for even more guidance on developing an executive onboarding program that works, download our talent management printable resource where we include a plan to supercharge your onboarding process in one week.